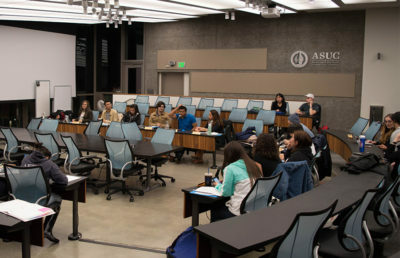 The ASUC Senate convened Wednesday for the first time this semester to pass a number of resolutions, approve the appointments of new members to the standing committees and discuss security arrangements ahead of the alt-right rally scheduled for Aug. 27 at Martin Luther King Jr. Civic Center Park. Addressing questions about the scheduled rally on Sunday, ASUC External Affairs Vice President Rigel Robinson said the entire city is trying to plan for potential violence. Robinson said the campus administration has the “privilege of being … a bit isolationist” because the rally is off campus. According to Robinson, a peaceful counter-protest is being planned at the West Crescent, in which case the rally could become the purview of the administration. Robinson added that he believed that despite its efforts, the city might not be able to prevent the rally. Berkeley Police Department will be given directives to confiscate items that may be dangerous, Robinson said. “It is key that all the resources and legal information we are aware of that could be useful to people … are made as visible as possible,” Robinson said. At the meeting, the senate also announced approved actions taken by the inter-semester committee over the summer. Among them was Senate Resolution 108, or “Recognizing Nabra Hassanen’s Murder as a Hate Crime and Urging the University to Improve its Hate Crime Reporting Process.” Hassanen was a 17-year-old Black Muslim student who was murdered on the morning of June 18 in Sterling, Virginia while returning to a mosque from a local restaurant. The campus’s Muslim Student Association organized a vigil for Hassanen on the steps of Sproul Plaza on June 27. The Senate also adopted for review a new agenda for the upcoming semester. 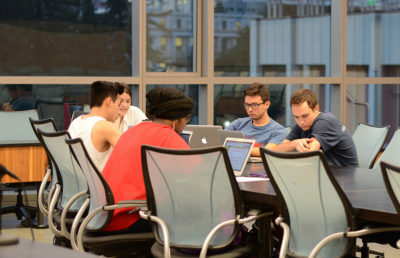 Senate Resolution 1, or the “Advocacy Agenda,” is intended to set forth the primary goals and concerns of the ASUC. These goals are further divided into pillars for organizational purposes. As part of the resolution, the 2017-18 Senate class will replace the existing “Safety” pillar with a new “Environmental Sustainability” pillar. Previously, the 2016-17 Senate class created the “Basic Needs;” “Safety;” and “Diversity, Equity and Inclusion” pillars. To organize goals set as part of the Advocacy Agenda, the pillars are divided into time horizons: immediate (one year), medium (five years) and longterm (longer than five years). The resolution has been referred to the Advocacy Agenda revision committee. All new senators were given an opportunity to talk during the meeting. Senator Harshil Bansal reiterated his campaign promise of creating a housing database that will not only help students find affordable housing but will also allow them to rate their landlords. Senator Juniperangelica Cordova said she is working with the Transgender Law Center to get resources for helping people know their rights during protests. 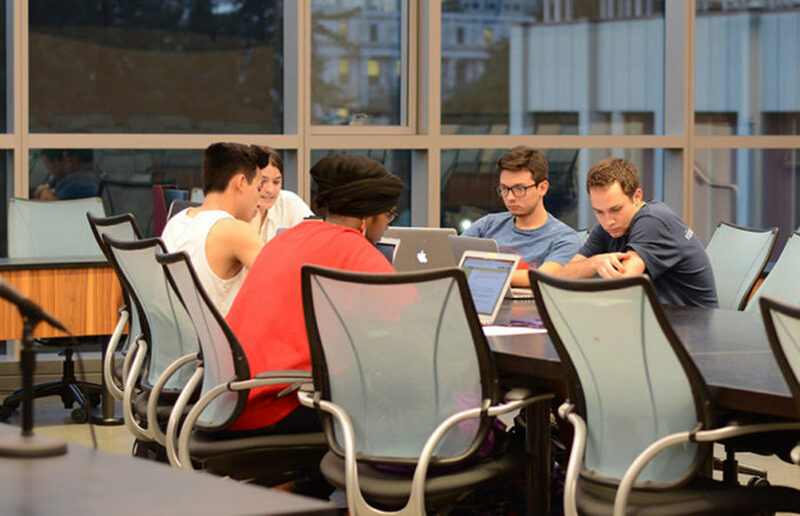 In partnership with the Princeton Review, Senator Nuha Khalfay announced 25 percent and 15 percent discounts for fall preparatory classes for the MCAT and GRE, respectively. The meeting adjourned with a moment of self-reflection by Executive Vice President Helen Yuan. “Life is 10 percent what happens to us and 90 percent how we react to it,” Yuan said. Azwar Shakeel is the lead student government reporter. Contact him at [email protected] and follow him on Twitter at @azwarshakeel12.